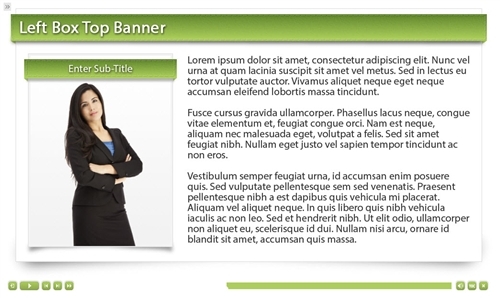 This Adobe Captivate 6 and 7 template comes in a Green Banner theme with 15 master slides. 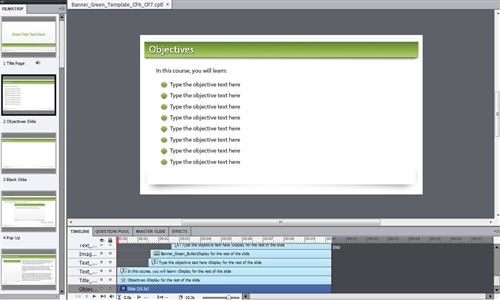 The template file comes ready to use and will help you to quickly get your next course developed. 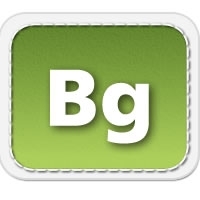 Simply add your own content (audio, images, text, recording slides, etc.) and you are ready to publish your course. 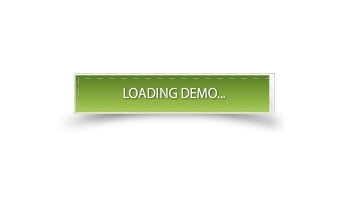 Matching Preloader containing the text, "Loading Course"
Matching Preloader containing the text, "Loading Presentation"
Matching Preloader containing the text, "Loading Demo"
Matching Preloader containing the text, "Loading Module"